Working from home has benefits beyond working barefoot. Avoiding a commute can translate to big savings of both time and money. 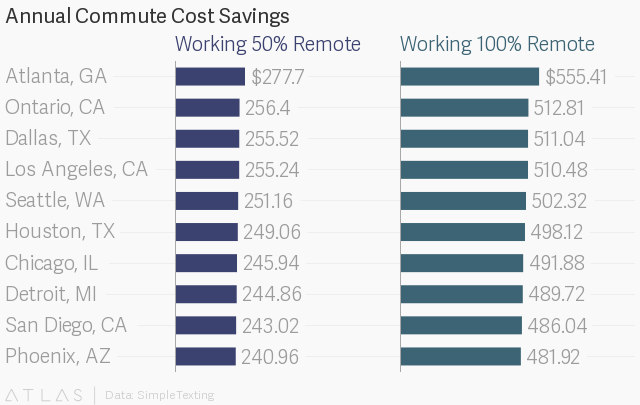 According to one study, people who work from home in Los Angeles, where I previously lived, save around $510 annually compared to their counterparts who drive to work. 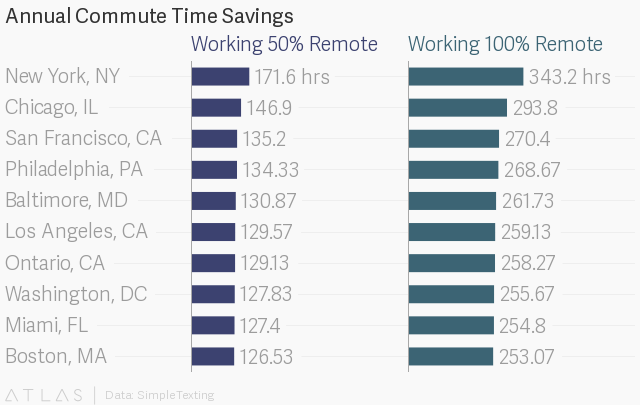 Even those who work remotely half the time save around $255 per year. The average savings nationally rounds out to $222 to $444 for those working from home between 50% and 100% of the time. Maddi is a senior member of the Content team at Go Fish Digital, a full-service digital marketing agency.